We are Proud to announce that Dr. Alok Mishra, Director Ambalika Institute of Management & Technology and Kamlesh Singh Asst. Professor, Mechanical Engineering Dept. 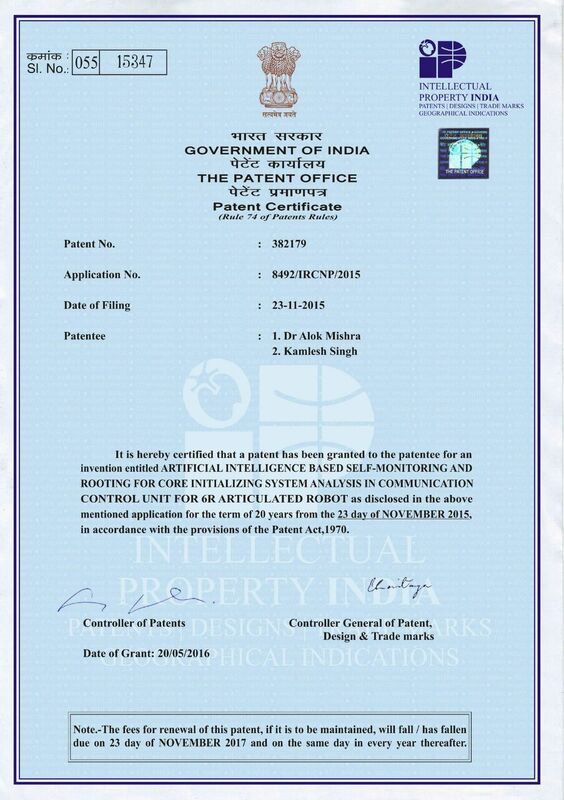 have been granted the Patent on their Research on ARTIFICIAL INTELLIGENCE BASED SELF-MONITORING AND ROOTING FOR CORE INITIALIZING SYSTEM ANALYSIS IN COMMUNICATION CONTROL UNIT FOR 6R ARTICULATED ROBOT. We at Ambalika Congratulate them on their immense Success and Wish Higher Achievements in the years to come.